The Rotary Club of Taunton organises many fundraising events for local charities. You too can get involved. Rotary supports many local, national and international charities. Each year members raise funds for local charities through our many events which are supported by the public and local business. In 2018 Rotarians raised more than £20,000 which went to charities such as the South West Air Ambulance Service, Musgrove Park League of Friends, Compass Disability and the ‘Archie’ project which aims to promote greater understanding of dementia. The year 2018 - 19 under President Tom Stobie is proving to be no exception, with many events planned or already underway. 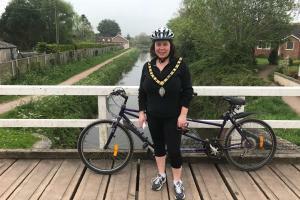 In September 2018, the Presidential year started well with a very successful charity Golf Day, and before the Christmas period Taunton Rotarians held their annual choral concert at the Temple Methodist church with entertainment provided by the Taunton Military Wives, local young musicians, West Somerset Brass Band and the Taunton Roatray Choir. Rotarians joined in Christmas street collections and Carol singinging. Many other activities and events are planned for the remainder of President Tom's year and the Club is hopingto once again exceed previous years in our contribution to local and international charities. Check out our events home page to see what's up and coming and see the variety of activities which are taking place throughout the year. Whether you are an individual or a company, we welcome your involvement.